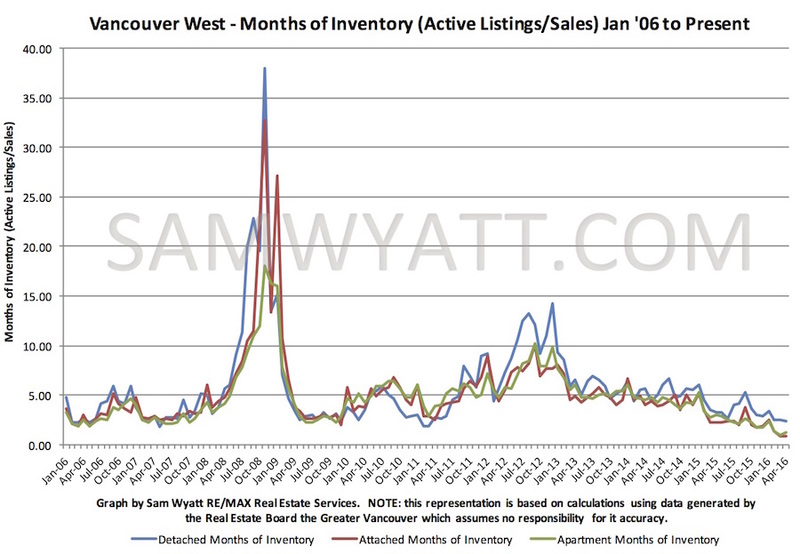 Vancouver westside Months of Inventory (MOI)* remained at near record lows in April. MOI for detached homes fell to 2.43 months. Attached and apartments creeped up to 0.92 and 1.26 months respectively. It has been a sellers' market for over year. 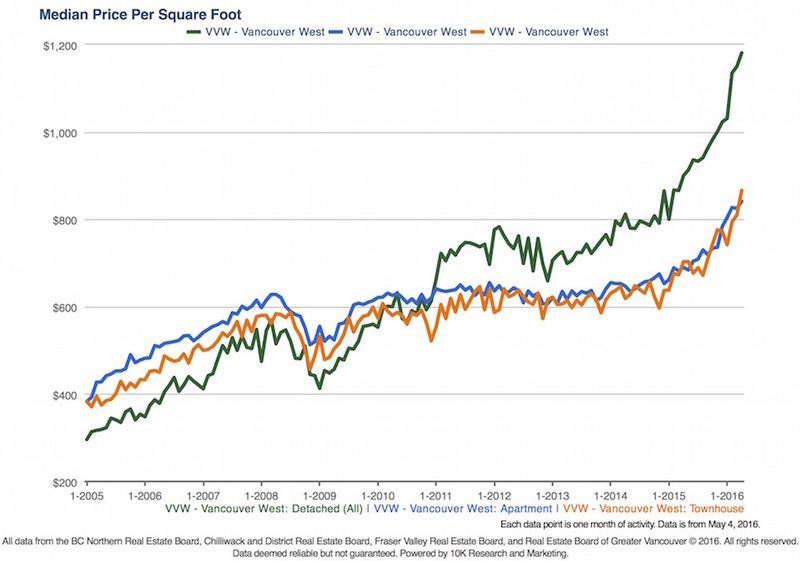 One thing remained clear in April: Vancouver real estate is expensive and it continues to attract a significant amount of foreign capital. Prices have been soaring - up about 20-25% year to date according to the HPI Price. The increasing outcry from Vancouver residents is making it difficult for municipal and provincial governments to continue to do nothing. 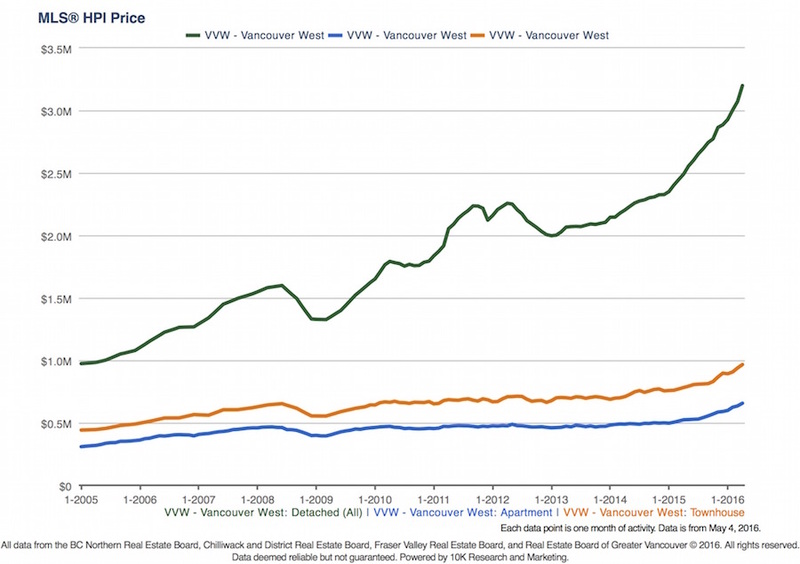 I recommend reading Josh Gordan's recent report: Vancouver’s Housing Affordability Crisis: Causes, Consequences and Solutions that does a good job of outlining the issues and proposing concrete solutions. Don't expect any change soon. 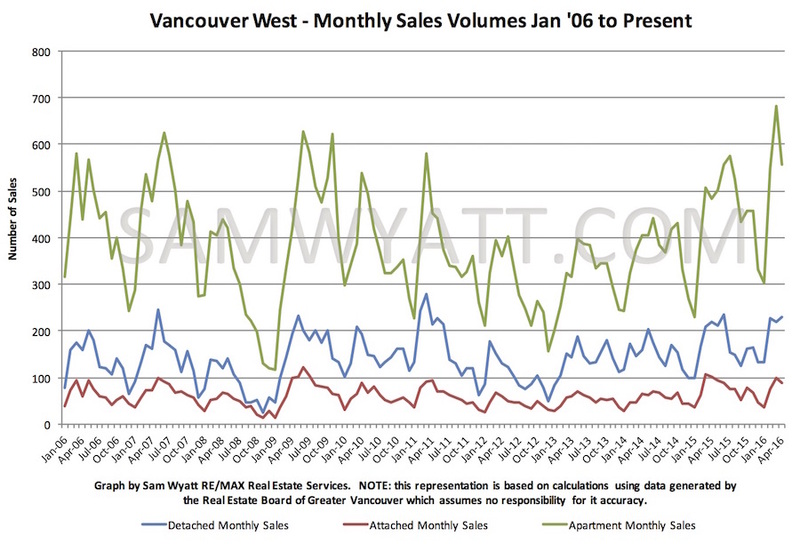 Sales volumes were at record highs in March and fell somewhat in April (with the exception detached homes). Anecdotally the first two months of April where more like March and the last two slowed. 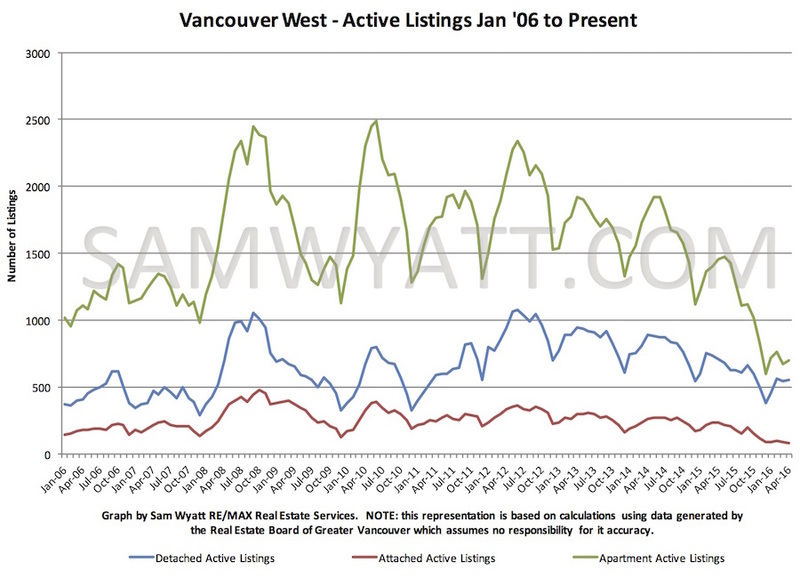 Active listing volumes have begun to creep up in May as an increasing number of listings are not going into multiple offer and are failing to sell in the first week of listing. The market could be moving from insanely hot to just super hot. More and more of you are opting to sell detached homes and downsize and I applaud you. The spread in median price per square foot between attached/apartments and detached homes remains well over $300/sq.ft. 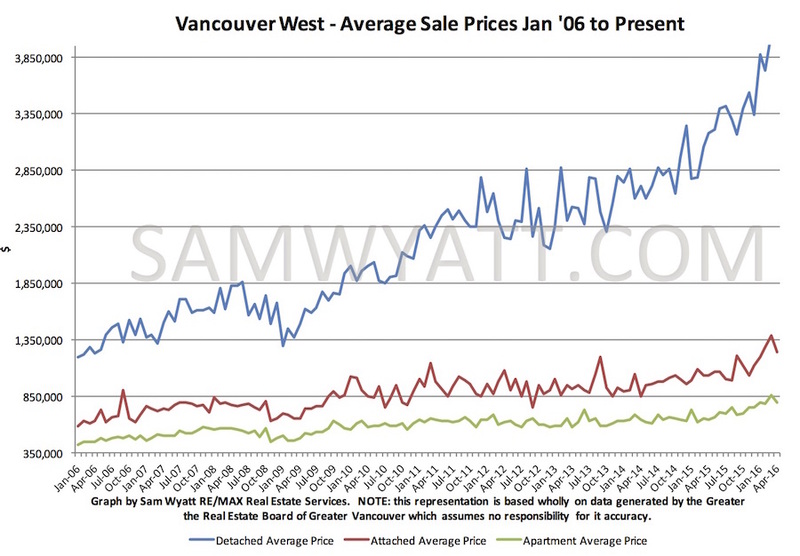 By Sam Wyatt - Vancouver Realtor.